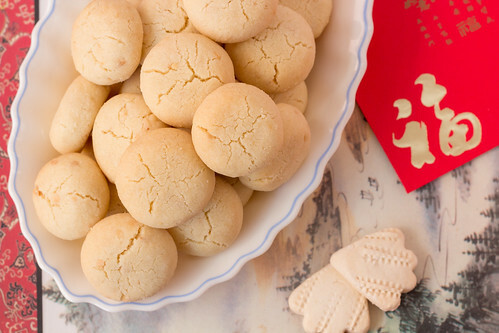 These Almond Cookies are quite light that melt ever so slightly in your mouth. I’ve added in toasted almonds for that added little crunch inside which works a treat. 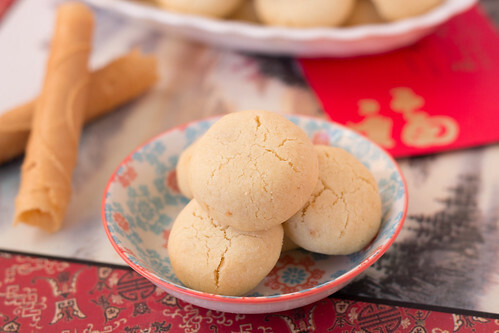 It’s very easy to make and great for Chinese New Year but of course who wouldn’t want this all year round. 1. Preheat oven at 175°C. 2. Place the slivered almonds onto a lined baking tray and bake for a 2 to 3 minutes or until slightly golden in colour and allow to cool. 3. 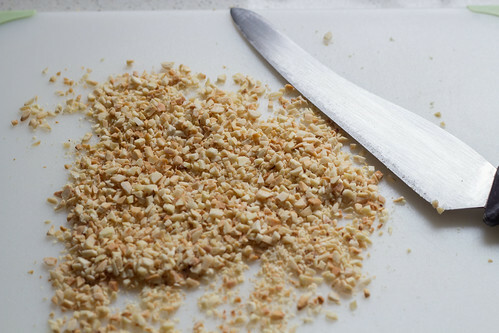 Chop the slivered almonds into small pieces and set aside. 4. 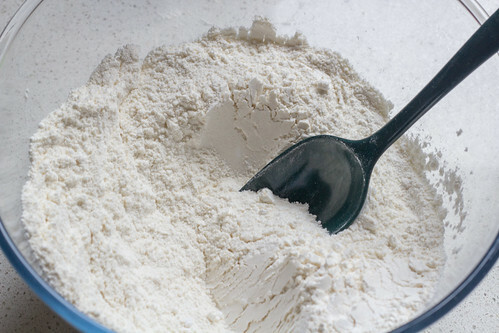 In a large bowl, sift in the icing sugar, plain flour, baking soda, baking powder, ground almonds and salt and mix together. 5. 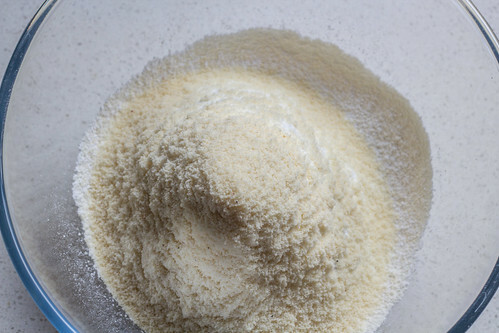 Add in the vegetable oil and vanilla essence to the dry mix and mix well until it is mostly all combined. 6. 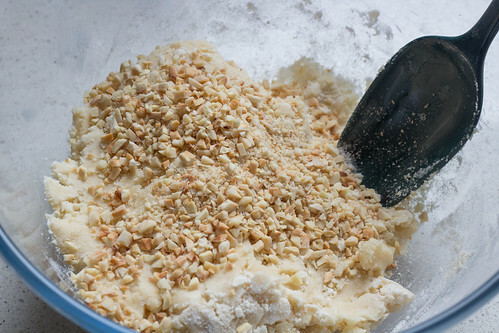 Mix in the chopped almonds until just combined. 7. 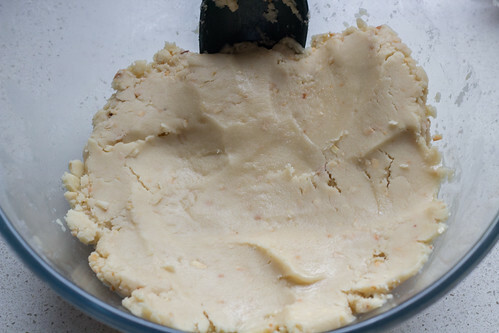 Either roll out the dough and use cookie cutters or just use your hands/food gloves and take a tablespoon sized piece of dough and roll into a ball. Place onto a lined baking tray and flatten it gently. 8. 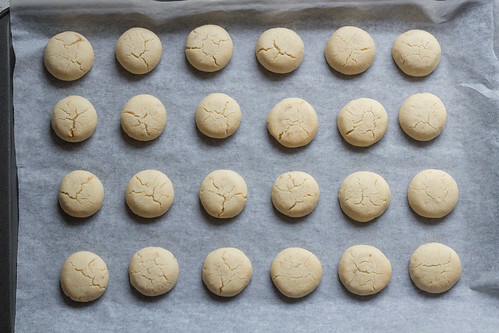 Bake in the oven for 10 to 12 minutes or until the bottom of the cookies are slightly golden and cooked through. 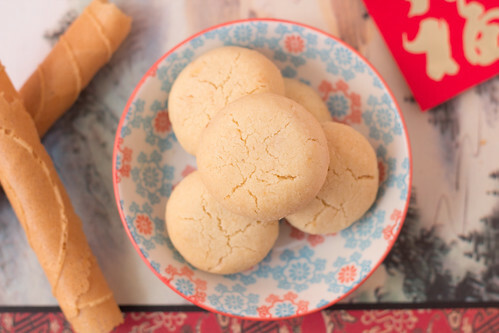 These Chinese New Year favourites are great light and crisp-crunchy cookies, with a lovely almond smell and flavour to it! Place the slivered almonds onto a lined baking tray and bake for a 2 to 3 minutes or until slightly golden in colour and allow to cool. 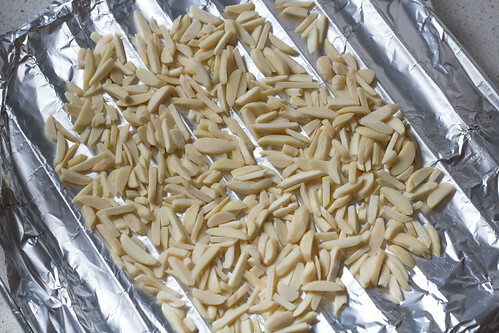 Chop the slivered almonds into small pieces and set aside. 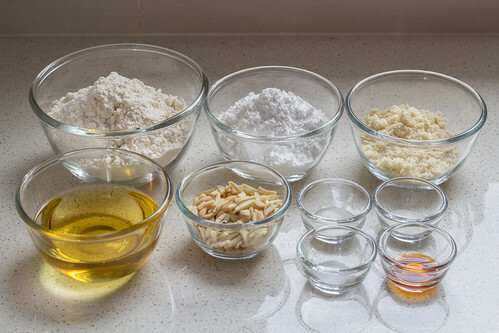 In a large bowl, sift in the icing sugar, plain flour, baking soda, baking powder, ground almonds and salt and mix together. 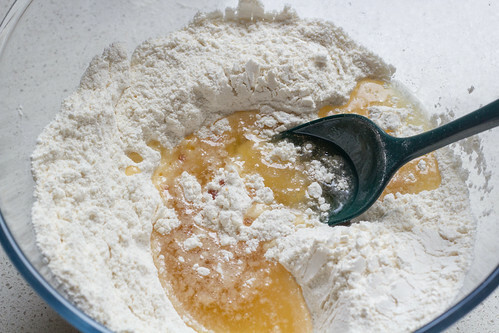 Add in the vegetable oil and vanilla essence to the dry mix and mix well until it is mostly all combined. Mix in the chopped almonds until just combined. 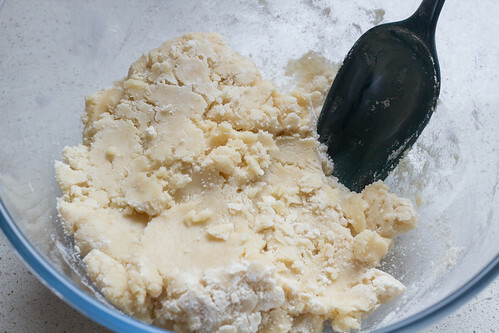 Either roll out the dough and use cookie cutters or just use your hands/food gloves and take a tablespoon sized piece of dough and roll into a ball. Place onto a lined baking tray and flatten it gently. 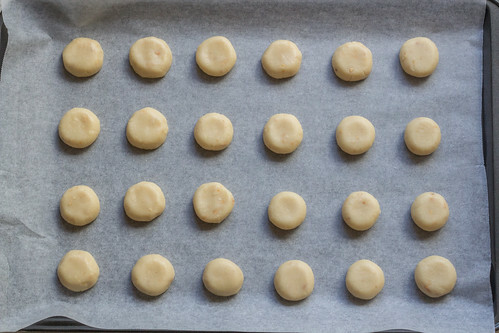 Bake in the oven for 10 to 12 minutes or until the bottom of the cookies are slightly golden and cooked through.